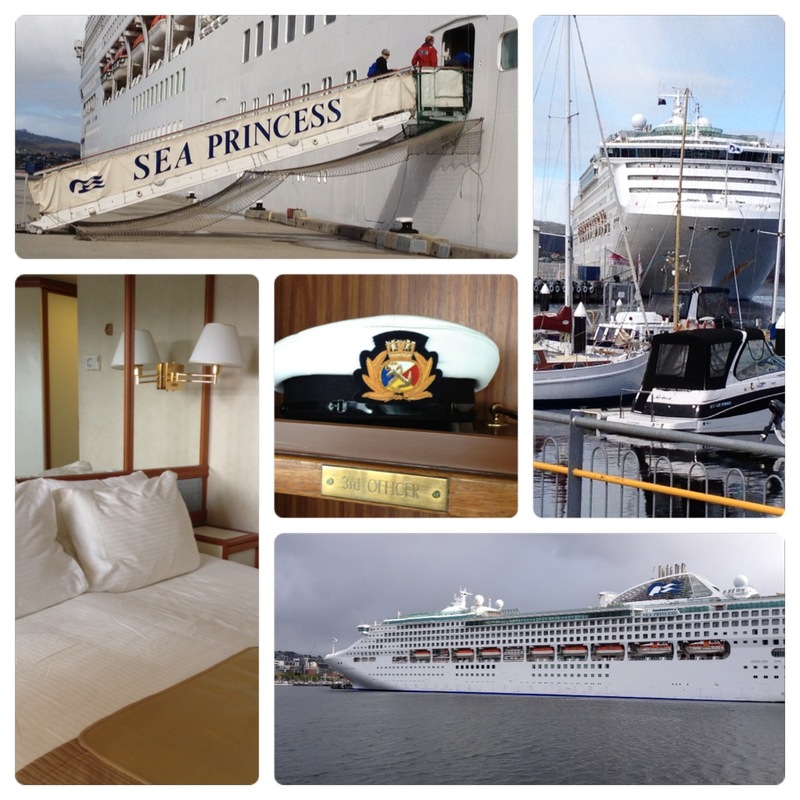 I recently travelled aboard Princess Cruises’ Sea Princess on a six-night round-trip from Sydney to Tasmania. (You can read my story on the cruise at Escape.) This was my first ‘big ship’ cruise, though at 2000 passengers, it’s smallish, as far as big ships go. When it came to packing, I wondered if there were any special cruise-specific items I should take, apart from the usual travel clothes, accessories, toiletries and medications. Turns out there are a few things that make life on-board a little easier or more comfortable. I’ve combined these with some clothing items you might not think to pack, but are a godsend in certain conditions. 1. 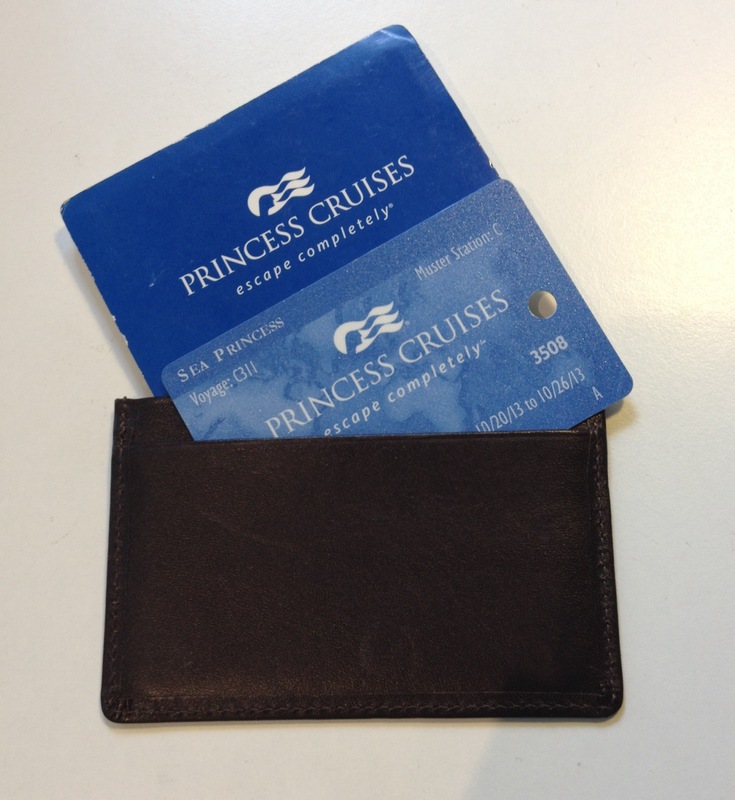 A slim-line card holder – if you don’t fancy wearing your cruise card on a lanyard around your neck (like you are part of a tour group or a conference attendee). A small card holder that slips into your pocket is an ideal way of securing your cruise card (used instead of cash to charge all expenses to your account) and the mini map you’ll need to find your way around for the first couple of days. Alternatively, a small clutch or shoulder bag, if you want to carry your phone, lip gloss and glasses along with your cruise card. A tiny slimline shoulder bag with a strap long enough to be worn across the body leaves your hands free and a small clutch works well with evening attire. 2. A power board – as there are a limited number of power points per cabin it’s a good idea to take a power board, especially if you have multiple cameras, phones, tablets or laptops to charge. 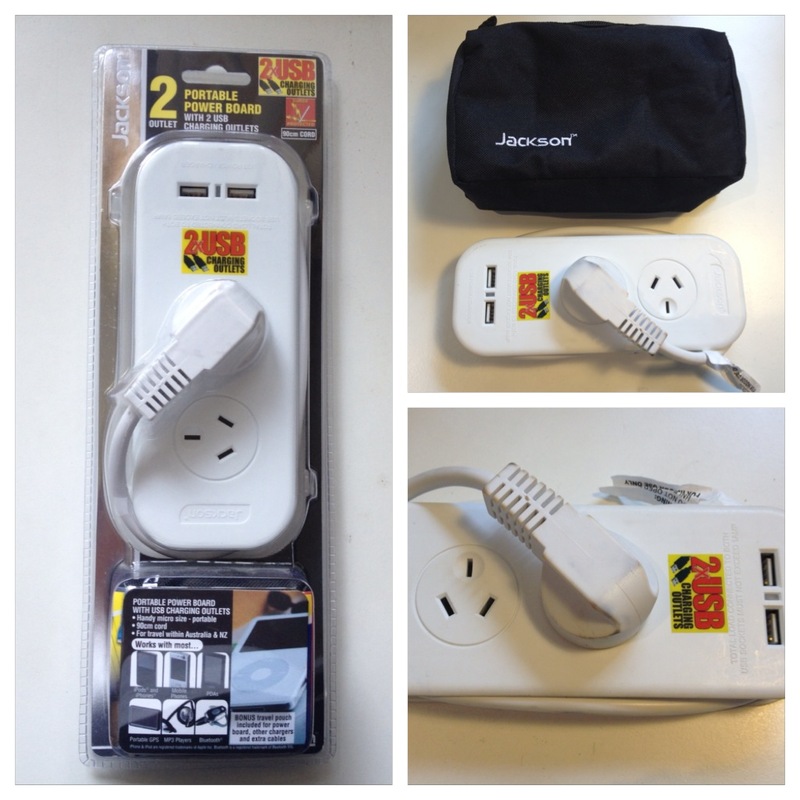 Check out my previous blog post for my favourite little travelling power board from Jackson, which includes two sockets and two USB outlets and comes in its own pouch. I’m currently loving my Threadz Handbag Cardigan, which is feather-light and scrunches into a tiny ball. Twist it around itself and use it as a neck scarf or tie to your handbag. Currently available online from Australian retailer Sorbet. Available in black, white and a variety of citrus brights. 4. A warm jacket – regardless of the weather or time of year. Even in summer a warm jacket or windbreaker is essential for those times you want to be on deck in the early morning or late evening, such as arriving or departing from ports – or just sitting and watching the majesty of the sea in wild weather. 5. A lightweight raincoat – for those unexpected showers on shore excursions. Find one that fits easily into your handbag or day pack and always carry it with you. You’ll be the envy of fellow travellers as they queue to buy neon plastic ponchos while you are enjoying the scenery. Do you have any favourite items you pack for a cruise? This entry was posted in Australia, Cruising, Packing Tips, Travel and tagged clothing, cruising, fashion, packing, packing tips, travel accessories, Travel gadgets. Bookmark the permalink. Thanks for your comments. The simple clothes line is a great idea for those ships without a line in the shower. Especially as I prefer to hand wash most things. Thanks also for your link to the ‘laundry incident’. Hilarious, but sad to think that someone would stoop as low as to steal someone’s hand-sewn dress. I was also surprised by how many people queued for things, especially afternoon tea! Ditto. I take one or two old bubble wrap envelopes for the same reason. Plus with the powerboard you can use just one adapter instead of one for every appliance/charger. Thanks Briar – I enjoy writing about the humourous and quirky side of cruising. This is the post I needed to read. I’m doing a 3 day cruise from Sydney not this weekend but nect and will have all my devices with me, powerboard is a great idea… and rain coat too as I’ll need to get fresh air whatever the weather. I’m off on the Digital Parents Conf which this year is afloat… have sailed on lots of yachts but never on a cruise ship before.